I was recently looking up other blogs about rituals and thinking about that, particularly concerning coffee or tea, and I heard a story on National Public Radio (NPR) this morning that led me to something beautiful. The story was on Japanese tea in the 15th century, and when I went to their website to see the story, I connected to another story about coffee art. 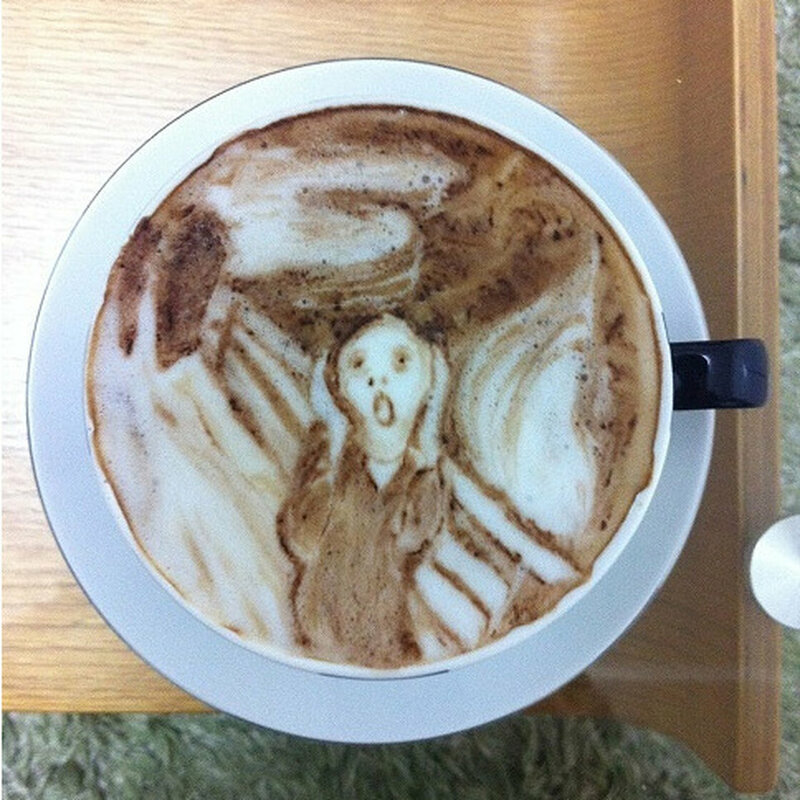 It seems that latte artists in Japan are becoming more common, and they go beyond creating clover that some baristas do in the U.S.
Part of the reason this art is so beautiful, the story finishes, is that this art is temporary. It is very in line with the Buddhist idea of accepting impermanence, which is something I would like to incorporate more fully into my life. I think one’s sense of peace would increase with this acceptance. I think it would increase mindfulness and appreciation of the present moment. For those who have embraced this idea, what has your experience been? ‹ PreviousSEW ALL THE THINGS! !